Thank you for your interest in Spotless Cleaning Services! Please fill out our contact form to receive a free cleaning service estimate. We will respond to your request as quickly as possible. In the event of an emergency, or if you need additional assistance, please give us a call at 786-547-2958. Please note that all fields marked with an asterisk must be completed. Looking for professional cleaning services in the Miami, FL area? We’ve got you covered! 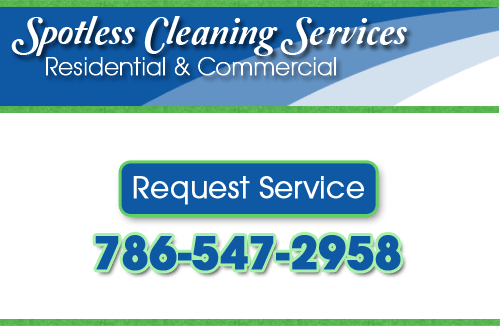 Call Spotless Cleaning Services today at 786-547-2958 to receive a free cleaning service estimate!